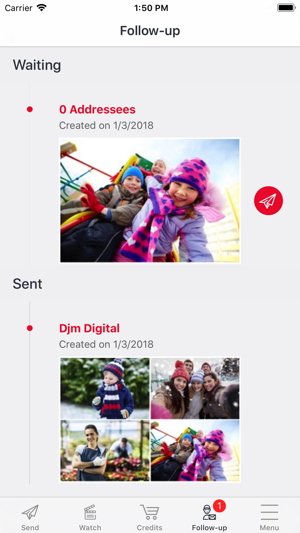 With Mobile Postcard, you can send real personalised postcards featuring photos or a video from your smartphone or tablet. We print them and send them anywhere in the world. 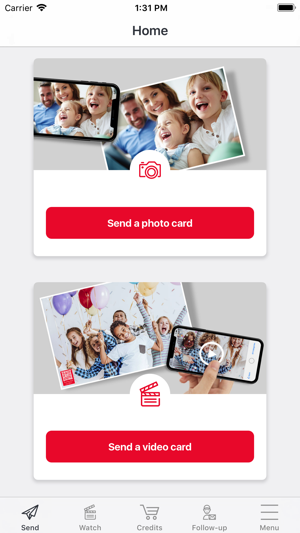 Celebrations, holidays or special occasions - what could be more fun than getting a personalised postcard from a friend, colleague or family member? It’s very easy to use! You’re all set in just a few taps. -	Photo card or video card? Simply select the type of card you want to send. -	Record a video or select one from the video library on your device. You can edit your video to make an even stronger emotional impact (maximum length 60 seconds). 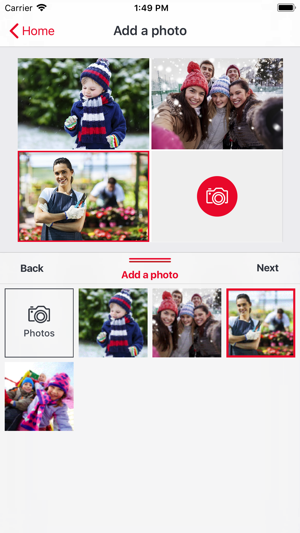 -	Add one or more photos from your photo library. -	Personalise with stickers or a special background, filter or text. 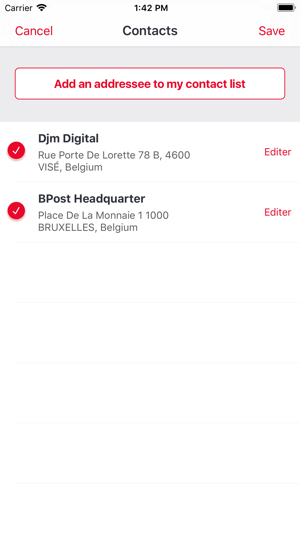 -	Fill out the name and address of your recipients. Your card is printed on high-quality paper in postcard format and sent to your recipients anywhere in the world. 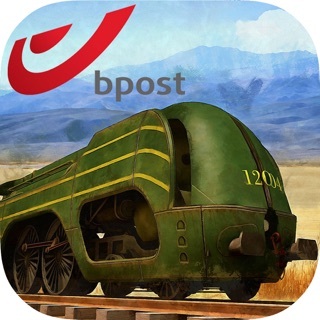 - Improved stability of the application and the correction of some bugs. - Resending a card up to 2 weeks after the first shipment. - The addition of a text and / or a sticker on the card. - New decors such as "Summer", "Birthday" and "Smurfs". - The possibility to add a return address in your profile. I have been looking/waiting for this sort of app to arrive. Fantastic way to send postcards with your own pictures. Hope it gets expanded to other countries (can only send to a BE address). Thanks. I created a card and paid for it through PayPal. 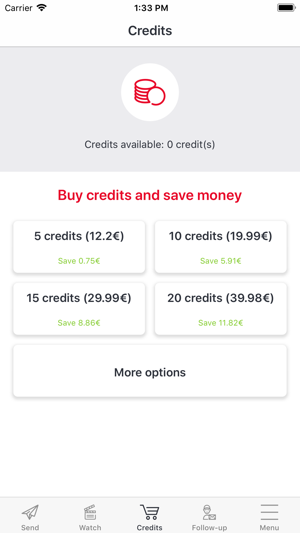 I ended up with my account being charged, the mobile app not showing my card as sent and no way to contact the customer service other than by calling them. Forcing people to call a callcenter is the last thing I want to do.